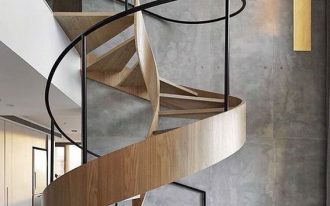 A sloped ceiling is a unique ceiling style and a part of a vaulted ceiling design. The vertical and horizontal spaces in a room will guide you to make a nice sloped ceiling. You can make the sloped ceiling depends on the room’s size and style. 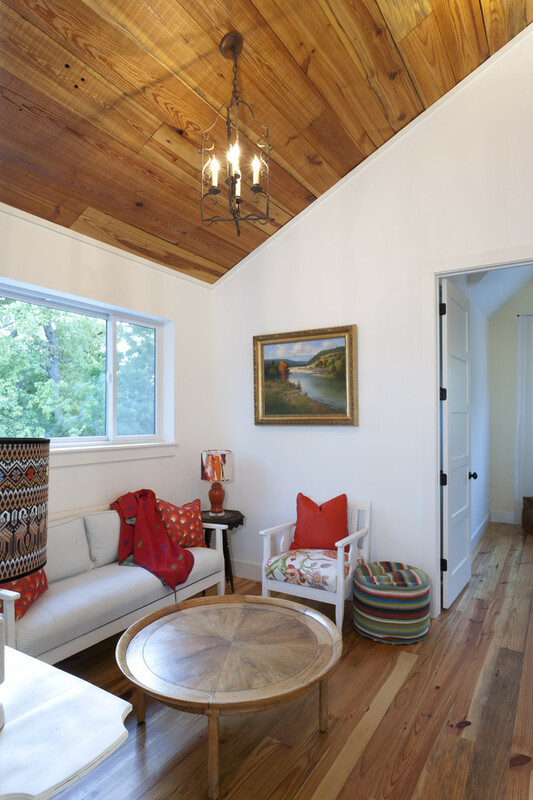 In a small room, a sloped ceiling is designed to make the room more spacious. 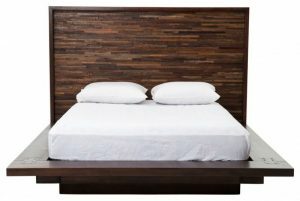 It can also take advantage in creating a cozy sleeping space or a reading nook. 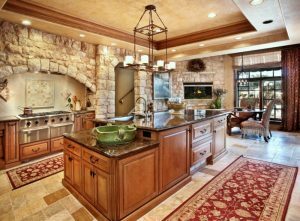 Here are some picturesque sloped ceiling designs that you increase the style of your home. 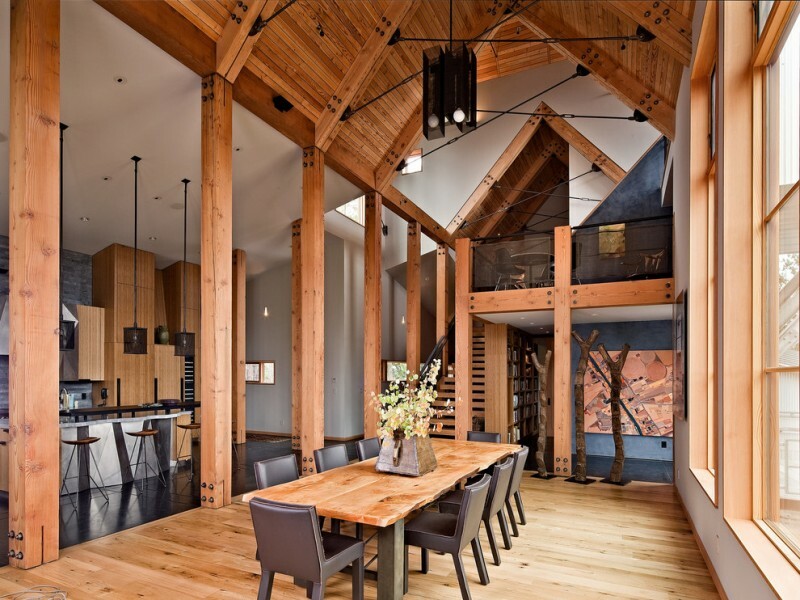 This open concept home uses so many woods for the floor, pillars, furniture, and ceiling. This sloped ceiling really looks natural for the contemporary home style. The ceiling and beams woods are all recycled Douglas Fir with a clear penetrating finish. The ceiling in this bedroom has a combination of sloped and tray ceiling designs. The unique flower-shaped ceiling fan is hung on the tray ceiling, while the sloped ceiling has green and white stripes and recessed lighting. 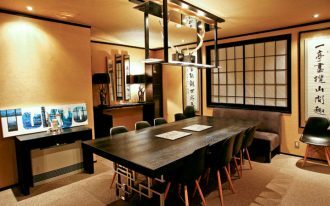 This sloped ceiling in this stunning home office is polished concrete plaster with black beams. This room has a light and airy feel because of the ceiling style and the glass windows. 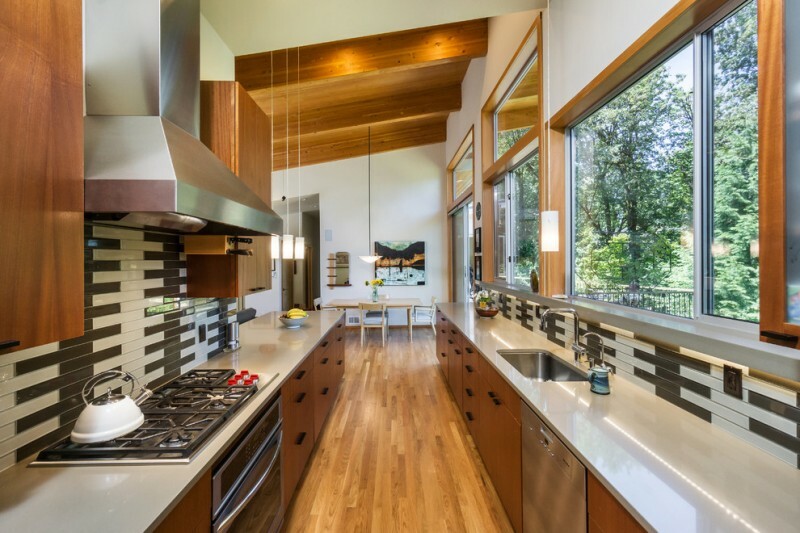 This narrow kitchen feels more spacious because of the bright sloped ceiling and wide sliding glass windows. The flat-panel kitchen cabinets are also provided to meet the desire of minimalist look. 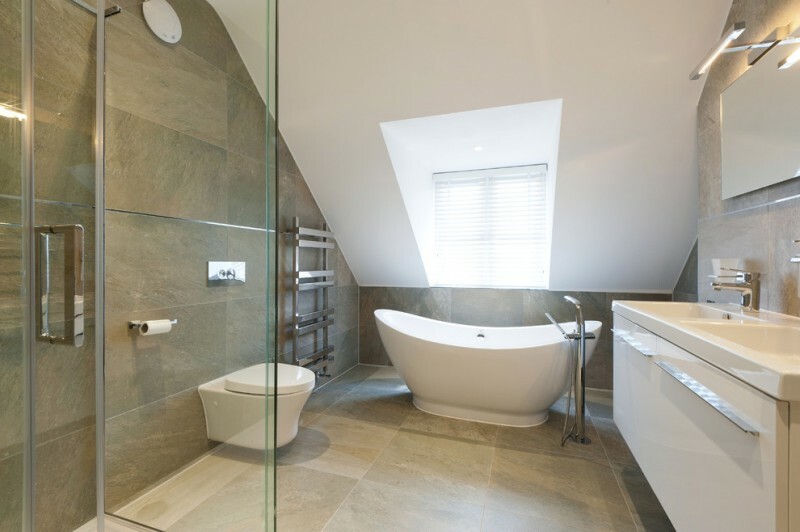 When you are wondering what to do to make a mid-sized master bathroom, you can design sloped ceiling above the freestanding bathtub and choose minimalist bathroom vanity. Near the bathtub, a window with shade will provide the natural lighting. This is a small sitting area that has sloped ceiling made of wood. The wood is sealed with a clear polyurethane with a matte finish. You still can hang a chandelier on the ceiling. This pink room is so lovable. 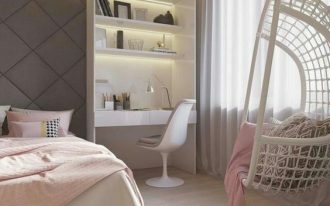 This room is really suitable for the girls or an office lady to get relax. 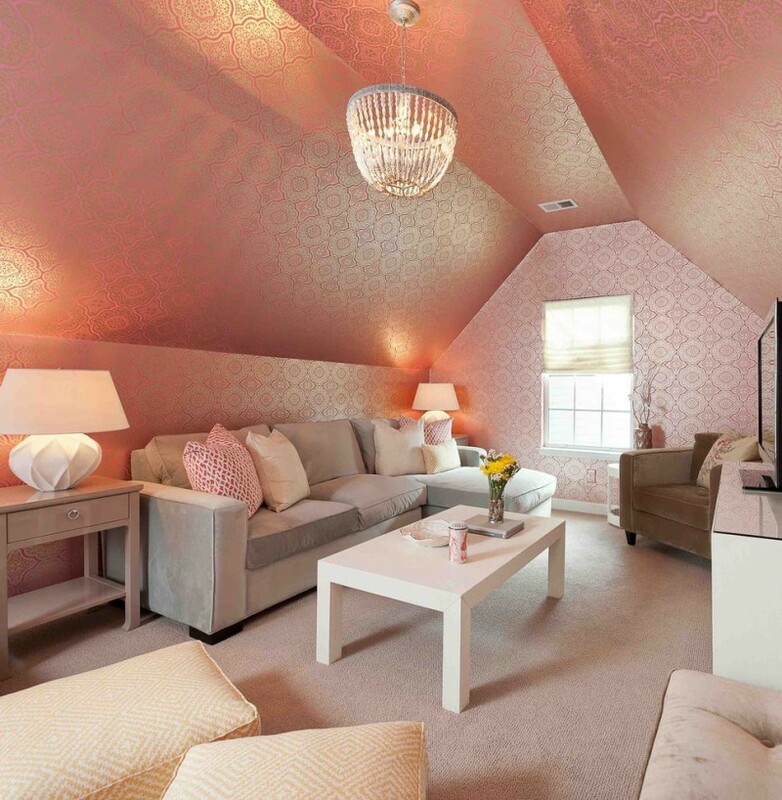 The sloped ceiling and walls are covered by the pink patterned wallpaper. 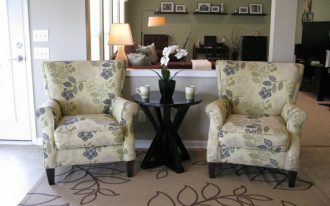 This room also provides a grey sofa, a brown armchair, floor cushions, white table, and side tables with drawers. A cove lighting can be added in the cove in the sloped ceiling. It will give an extra lighting beautifully beside the natural lighting that comes through the glass wall. 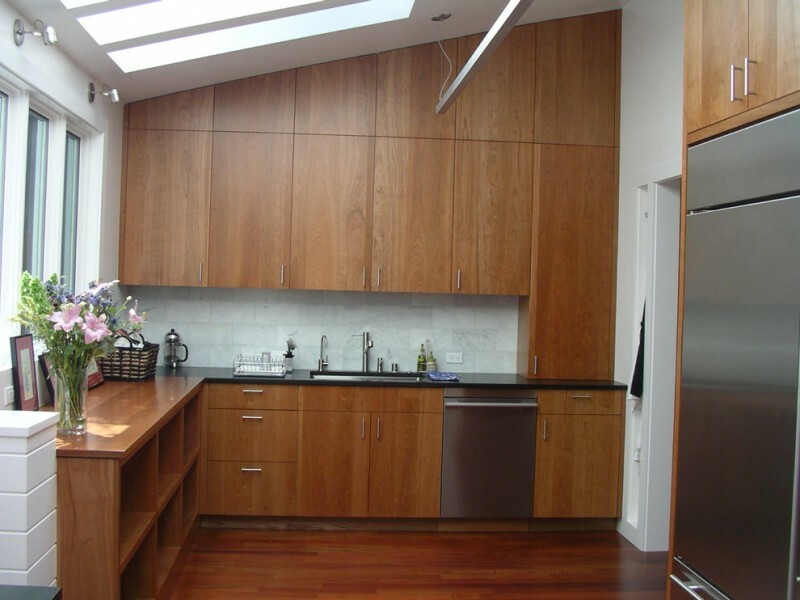 This kitchen has custom made kitchen cabinet to maximize the spare space caused by the sloped ceiling. the cherry cabinets are affordable and suit with the marble subway tile backsplash. This kitchen also gets so much natural lighting from the glass windows and ceilings. 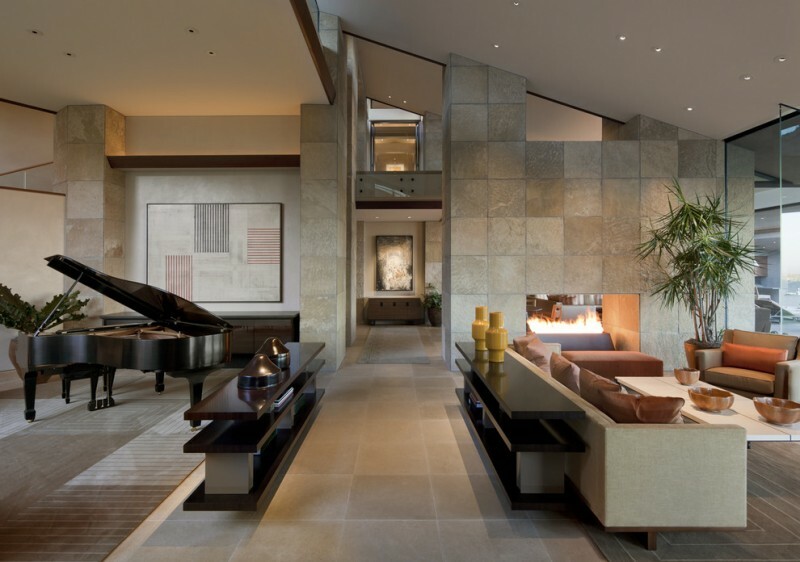 This home has a great layout with a sloped ceiling. 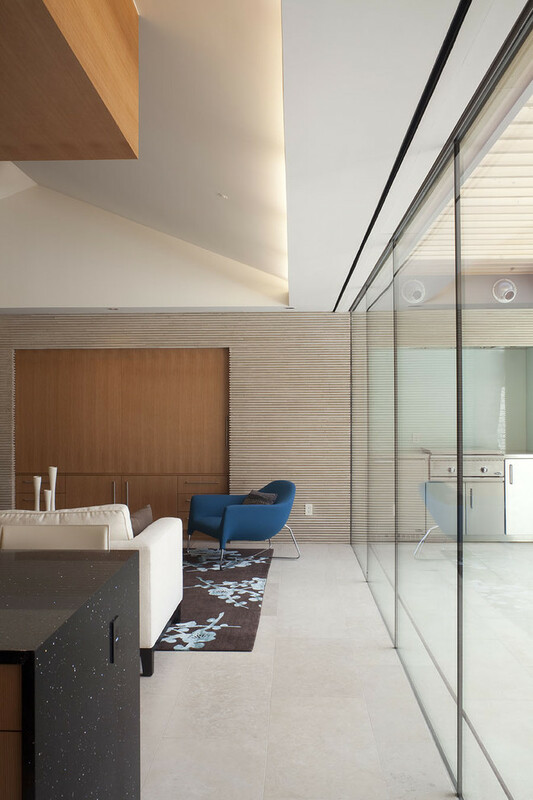 The ceilings provide small recessed lightings that brighten the room. 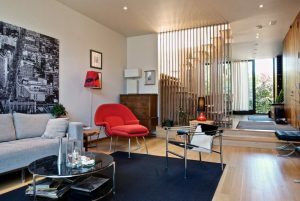 It also features a minimalist sofa, an armchair, and white coffee table for seating space.